Jesse Günther plies a molten blob on the end of a red-hot pipe, turning it this way and that as he tugs out a shape. 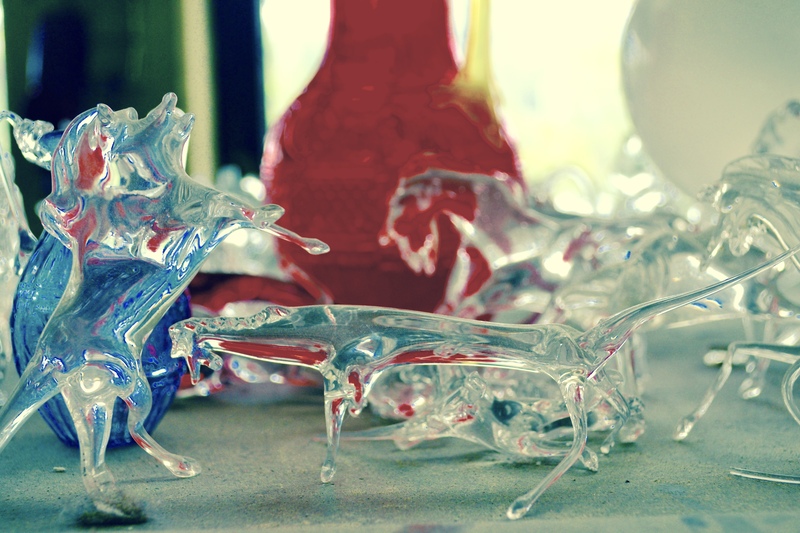 Within minutes, he has created a glass figurine of a graceful, long-tailed horse, which he taps off the end of the pipe with a clink. We are at the Berlin Glas e.V., a non-profit association that offers glass making courses and opportunities for students, refugees and artists. Their studio is located in the complex of an old brandy factory in north Berlin. Jesse adds his figurine to a crowded shelf of glass objects and mythical-looking creatures. He likes working with glass because it’s collaborative and challenging. I had never really thought much about glass or how it was made before going to the 3-hour introductory workshop, so I’m not sure what I was expecting, but one thing is right: It is challenging. And hot. At the centre of the studio is a furnace that runs at over 1000 degrees celsius, 24 hours a day, 7 days a week. It is only turned off for one month during the year, when everyone goes on holiday. Powdery pellets of raw glass are thrown into the furnace, where it then sits in liquid form, waiting to be ‘gathered’, or spun onto the end of a hot pipe. Then, there is the ‘glory hole’, another furnace used to reheat pieces while you’re working on them, and finally the ‘lehr’, where the finished glass pieces slowly cool at around 500 degrees. Altogether, it’s hot work. I was on the course with a couple of blacksmiths, who seemed more used to working with such high temperatures. The workshop certainly gives you a new appreciation for glass, ensuring you’ll never look at it the same way. 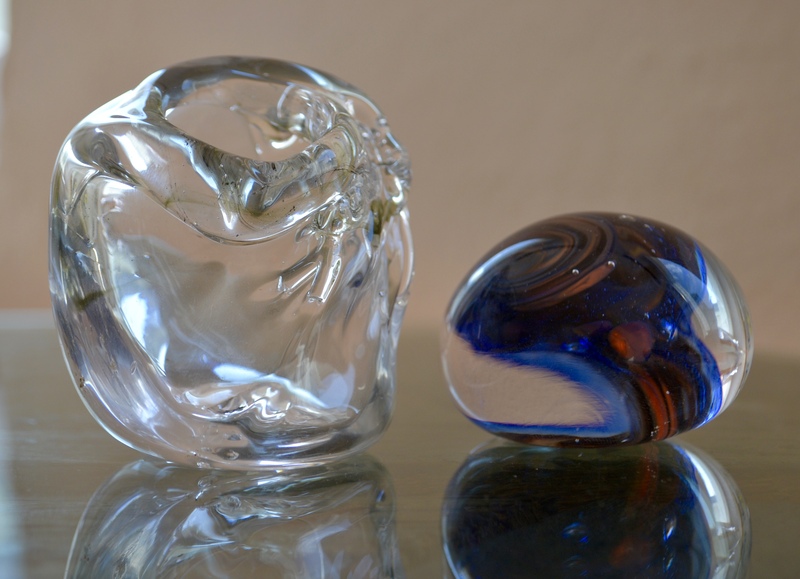 They say the strongest steel as forged in the hottest fire, but glass is forged at the same temperatures and can turn out to be brittle or strong, with certain qualities, like air bubbles and colours, not fully visible until the glass has cooled, giving it a certain unpredictability and nuance. So, after a week of cooling, how did my pieces turn out? As you can see, the glass didn’t really turn out to be a glass – not even a vase, which was my next aim. Maybe I can claim it’s simply a piece of art – after all, as well as being collaborative and challenging, glass-making is also creative and beautiful. Berlin Glas e.V. offers a number of courses as well as opportunities for students, refugees and artists.